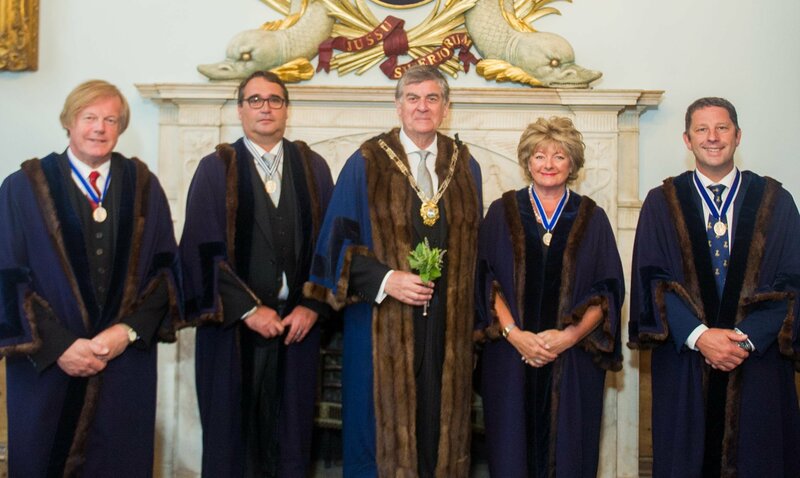 At the meeting held on 3rd April 2019 the following attended to take their Oath to the Company and be admitted as Craft Owning Freemen – Prudence Beard, Antony Hales CBE, Elizabeth Spill and Lambros Varnavides. At the Court meeting held on 9th January 2019 the following attended to take their Oath to the Company and be admitted as Craft Owning Freemen – Jason Gray, John French, Robert Lee, Robert Pinckley and Freeman Louis Pettifer. At the meeting of the Court of the Company of Watermen and Lightermen held on the 3rd of October 2018– Craft Owning Freemen George Hammond and Ted Manning were appointed as Court Assistants. Freeman Robert Dwan was admitted as a Craft Owning Freeman. At the Court meeting held on 3rd July 2018 the following attended to take the Oath to the Company and be admitted to the Craft-Owning Freedom Diane Burley, Michael Corcoran, Thomas Layton, Freeman Henry McCarthy and Kenneth Milton. At the Court meeting held on 4th April 2018 Senior Warden Dr Iain Reid was elected as Master of the Company for the forthcoming year commencing 11th July 2018. The following attended to take the Oath to the Company and be admitted to the Craft-Owning Freedom Robert Cottrell, Sir Robin Knox-Johnston CBE, RE* and Charles Montlake. At the Court Meeting held on 10th January 2018 the following were admitted to the Company as Craft Owning Freemen – Ronald Hill and Barry Jackson. The Rev’d Bertrand Olivier – Company Chaplain was admitted as a Honorary Craft Owning Freeman. Freeman Jack Keech, winner of the 2017 Doggett’s Coat and Badge Wager, was admitted as a Waterman to the Company.